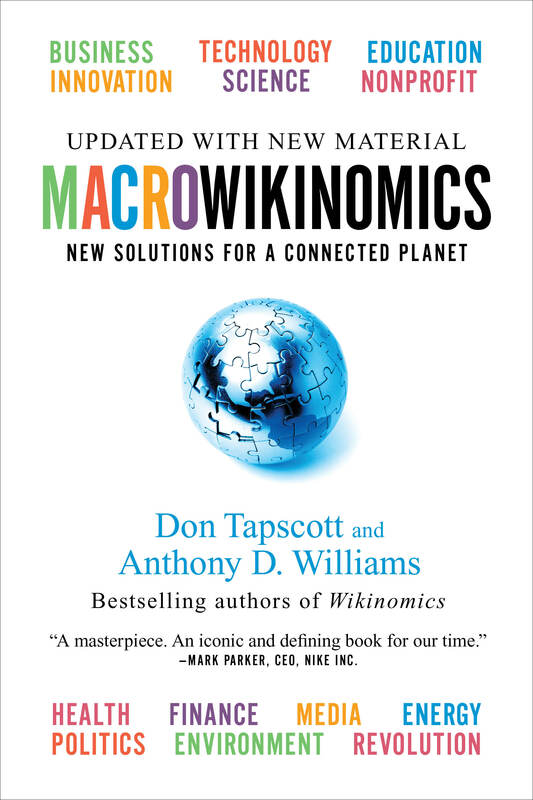 I’m new to the Wikinomics blog, so I thought that I’d say a few words about myself. I graduated from MIT last year with degrees in Political Science and Management, and now I’m a Junior Fellow at the Carnegie Endowment, a think tank in D.C.
(c) A profile of the issue, financial, and logistical networks between these players. Government-commissioned expert teams, one per global challenge, would ensure the accuracy of contributions to the GCR. (c) A thread on how the aforementioned players can collaborate without replicating each other’s efforts and wasting resources. The expert teams would ensure that contributions offer solution-oriented comments. They would evaluate the ability of the solutions that have worked for a given country to be tested in and applied to others [(2)(a)]. They would also monitor the discussion threads [2(b), 2(c)] to identify areas of consensus and accordingly articulate new solutions. The case studies of past successes and write-ups of new solutions would be inputted into a 20 x 200 solutions repository, which would offer a dynamic pool of insights for application to new challenges. The impetus behind the GCW is simple – one of the main problems that we face in addressing global challenges is that there are too many players in the game. It seems like not a day passes without the announcement of a new NGO that’s devoted to mitigating global poverty or promoting corporate social responsibility. This outpouring of awareness, enthusiasm, and effort is, of course, wonderful in theory. The problem comes, however, when these players start clashing – sometimes because they’re unaware of each other and sometimes because they compete with each other. A subtler, but no less important problem is the uniformity (or lack thereof) of their objectives. Global poverty offers a great illustration. Some players want to tackle it in a specific country. Others want to address it in a specific region. Yet others want to achieve the UN’s Millennium Development Goals. Complicating matters further is that there’s often a conflation of goals. For example, reducing global poverty and promoting global development are often interchanged even though they have very different meanings. Collaboration is far harder, and far less productive, if the collaborating parties don’t have the same end goal in mind. Our task, then, is to rein in the chaos and make the problem-solving resources that we have – people, technology, and money being the big three – as efficient and productive as possible. That’s part one! What do you think? Please feel free to leave a comment below, or contact me at awyne@alum.mit.edu. I look forward to hearing from you! From my understanding, a key principle is that the power of Wikinomics is in the self organizing nature of participants to an issue with minimal central control. When I read, “The impetus behind the GCW is simple – one of the main problems that we face in addressing global challenges is that there are too many players in the game” I became concerned that the basis of the project assumes that people are not aligned with an implicit central authority (which defines what is a problem, which solutions are appropriate, and how success is measured). In any endeavor where the government is appointing experts we can be confident that there first priority will be the self interest of the government rather than the actual interest at hand. Global challenges by their nature may also be very controversial (or they really wouldn’t be challenges would they?). Arab/Israeli peace; Iran nuclear threat; global warming (et al) all involve difficult sacrifices that would be tempting to solve through cooercive measures that involve discounting a perspective (or many) through a consensus that benefits some at the expense of others.